Hundreds of Zimbabwe Electricity Supply Authority (Zesa) Holdings employees yesterday held demonstrations at their headquarters in protest over a string of energy deals entered between flamboyant businessman Wicknell Chivayo and the Zimbabwe Power Company (ZPC) — a subsidiary of the power utility firm. Apart from demonstrating against Chivayo, the employees also wanted Zesa to address their grievances including implementing a collective bargaining agreement (CBA) of 2012. The High Court recently barred the Zesa employees from going on strike. 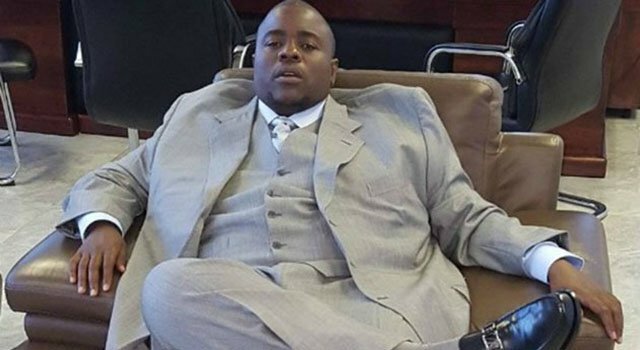 Chivayo has been staring down the barrel over the past few weeks over the power deals which he signed with the ZPC — which have come under the spotlight after his company, Intratek Zimbabwe, apparently failed to deliver on them. ZPC senior management now stand accused of advancing $5 million to him for this project’s pre-commencement works, despite Chivayo not providing a performance guarantee as required by law. Before yesterday’s demonstrations, Zesa employees had wanted to go on strike but were barred by the high court. The employees accused the company — in their notice announcing their bid to demonstrate dated December 8, 2017 — of ignoring their concerns and demands. “We wrote a letter of demand to the Zesa CEO,…but no serious effort has been made by the employer to attend to our demands, major amongst them accounting for the money given to one, ... Chivayo, senseless tariff increases and refusal by the employer to implement the 2012 CBA (collective bargaining agreement)…,” the employees said. Some of the tenders include a tender for the refurbishment of the Harare Power Station at a cost of $73 million, $163 million for the restoration of the Munyati Power Station and $248 million for the Gairezi Power project. The employees said they were bitter that the company was seized with a bid to patronise former first lady Grace Mugabe at the expense of crucial issues that are key to production. Following the notice from the employees, Zesa Holdings wrote to Public Service minister Petronella Kagonye challenging the workers’ decision to strike. “We view the intended demonstration being orchestrated by the…(Energy Sector Workers Union of Zimbabwe) as a threat of collective job action which falls short of the requirements of the provisions of the Labour Act and therefore unlawful. “The intended collective job action is likely to negatively affect the operations of the organisation. Zesa falls within the category of an essential service in which workers are barred from engaging in collective job action. “Accordingly, in terms of Section 106 (1) of the Labour Act, we hereby apply for the issuance of a show cause order against the Energy Sector Workers Union of Zimbabwe calling upon it to show cause why a disposal should not be made in relation thereto. We also propose in terms of 106 (2) (a) (b) of the Act that pending the issuance of the disposal order, the unlawful collective action concerned be terminated or postponed or suspended,” the letter dated December 14 reads. Zesa Holdings through its lawyer Taona Sibanda, went on to file an urgent chamber application against the Energy Sector Workers Union of Zimbabwe, seeking to stop the demonstration, which had initially been slated for December 15. According to Rufaro Pasipanodya, the company’s head of corporate services, the union wrote to Zesa Holdings on November 27, 2017, demanding what it called accountability and restoration of corporate legacy. “The background of this matter is that on or about December 15, 2017, the applicant (Zesa Holdings) gathered through its internal intelligence and security that members associating themselves with the respondent (Energy Sector Workers Union of Zimbabwe) were bent on embarking on a collective job action. Applicant promptly engaged the Ministry of Labour (for) a show cause order against the respondents,” Pasipanodya said. High Court judge Happious Zhou went on to give an interim order, barring them from striking.